With spring follows colour, and hence we bring to you this vibrant Spring-Selection Indian Designer Cotton Kurta for Ladies that serves a trademark of the season. The simple cotton kurta comes under style-wear because of the vivid artistic pattern in which different prints have been arranged. 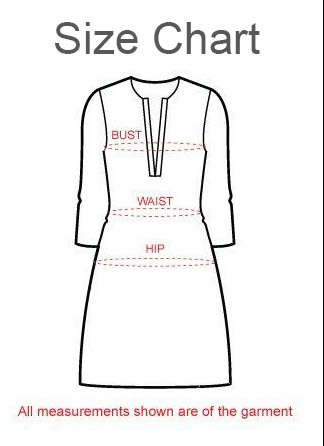 The base of the kurta is white with blue dot print design. The simple round neck come with a neck panel that has pink and green horizontal print design adjacent to the shoulders. The three-fourth sleeves of the tunic come with cuff design in pink and green prints. Rock this with a contrast pair of chudidaar to look your best. AVAILABLE IN DIFFERENT COLORS.